A picture of Suniel Shetty, shared by his daughter Athiya Shetty. 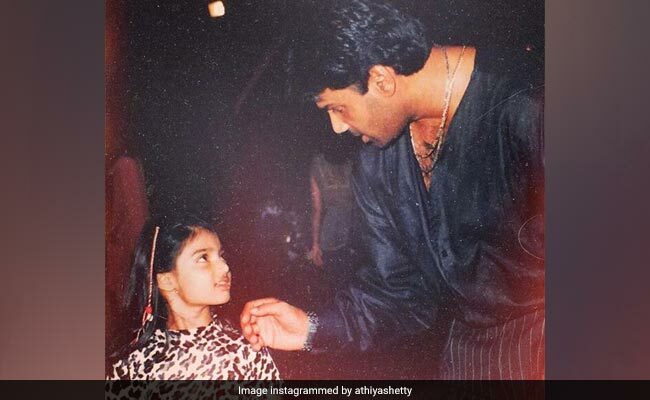 On Suniel Shetty's birthday yesterday, his daughter Athiya Shetty took to Instagram to share a throwback picture and wish him. However, while the sweet picture and its accompanying caption garnered hundreds of 'hearts', it was an unexpected comment on the photograph that left thousands surprised. Popular Canadian rapper Drake - now perhaps better known as the man behind the viral Kiki song - commented on the photograph to hail Suniel Shetty a "legend". The fact that a Canadian rapper would know about the Dhadkan star left many astonished. 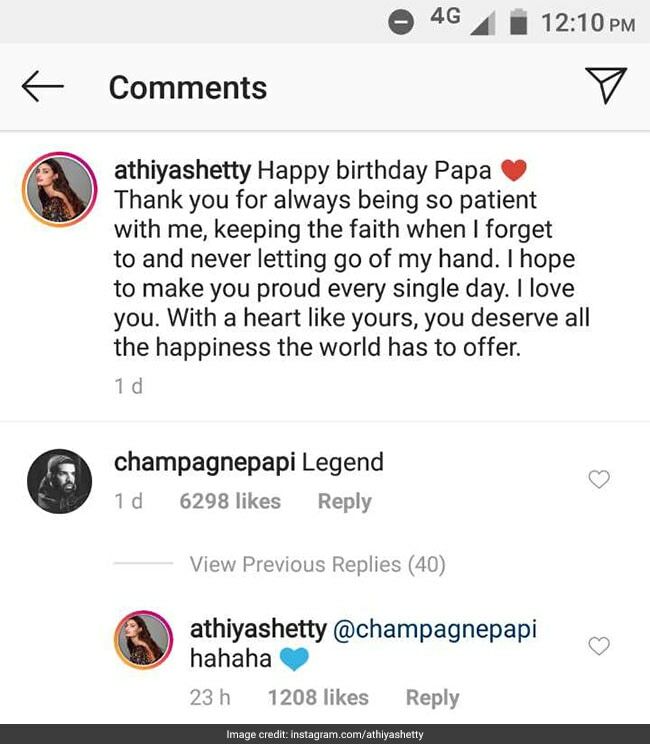 Athiya Shetty responded to his tribute with a "hahaha" and a heart emoji, and the exchange left a lot of netizens very surprised. "DRAKE ARE YOU HER COUSIN OR WHAT?" wrote one person in the comments section. "How do you know each other I'm confused," said another. "Oh he's just Hera Pheri fan," a third joked. seriously Drake calling Suniel Shetty a legend has got me head in a 360.
like how random is that? Athiya Shetty and Drake have reportedly been on friendly terms after they met in London last year.